There’s nothing more frustrating than discovering a leak in your RV, knowing the damage water can cause to your valuable belongings, as well as the structural integrity of your RV. Unfortunately, RV leaks can be difficult to find, since the actual leak is often located away from the water damage. If you have an RV leak, we have a foolproof solution. Iron Horse RV is an official service provider for Sealtech Leak Testing–the only Sealtech provider in the city of San Antonio. 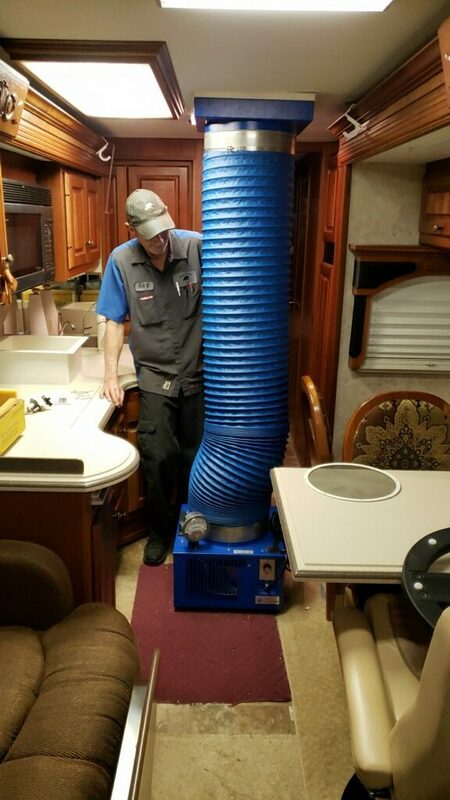 With Sealtech Leak Testing, a device is attached to an open roof vent in your RV, allowing us to slightly pressurize the inside of your rig. This allows leaks in your roof and RV seams to be located with a soap bubble test. 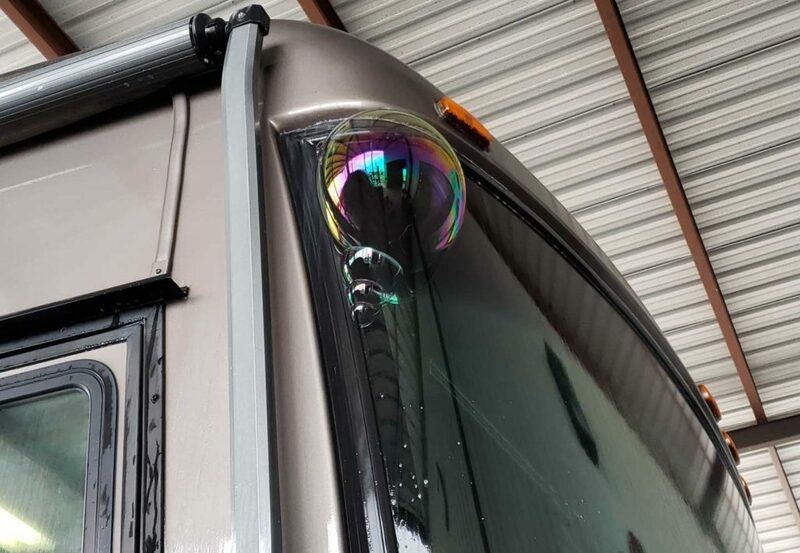 From tiny bubbles to huge ones, we can easily tell which spots might cause problems for you, by allowing water inside your RV. By discovering RV leaks through the Sealtech system, we can help you reseal your roof and seams wherever necessary. We know you’ll sleep soundly during rainstorms after the test, with the knowledge that your investment is secure from water damage! Want to book Sealtech Leak Testing, or just have questions about the process? Contact us today.